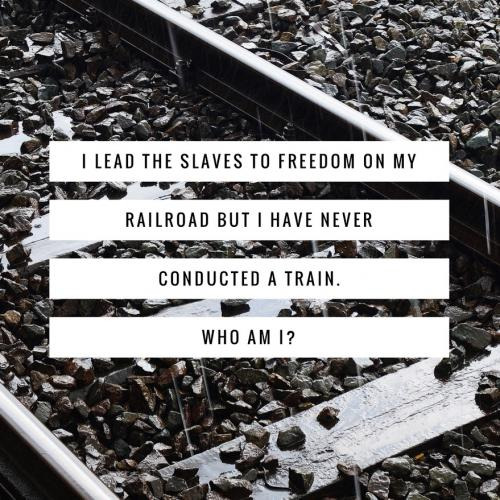 I lead the slaves to freedom on my railroad but I have never conducted a train. Who am I? 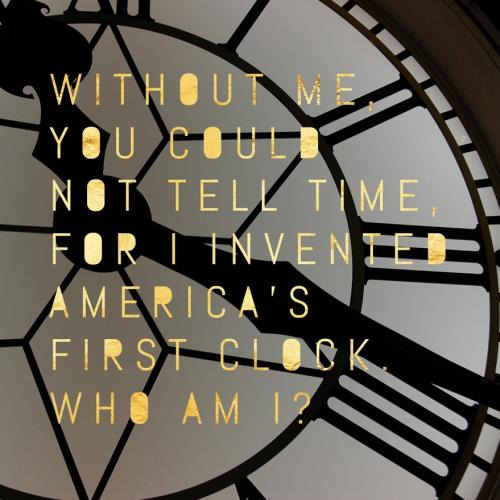 Without me, you could not tell time, for I invented America's first clock. Who am I? This African American pioneer fostered the invention of touch tone phones and the portable fax. Who is it? Some call me the father of the peanut, for I discovered 300 useful things made of the peanut. Who am I? I saw education as the key to improving the lives of African-Americans in the 1900s, and fought to educate my people. Who am I? I lived from 1797 to 1883. I was a missionary among slaves in New York. I used my talent of speaker for the slavery movement. My name was changed by a Quaker family to Van Wagener. I was born on May 19,1925. I fought for black Americans. 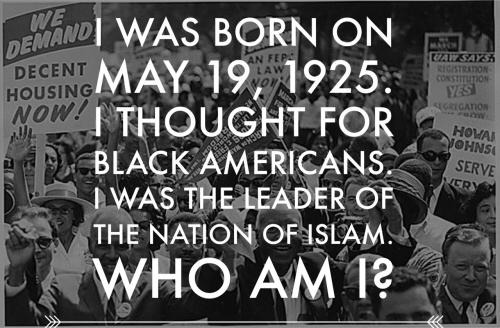 I was a leader of the nation of Islam. I am a famous African American female poet and slave. Who Am I? My invention makes it easier for people to get to high places without climbing stairs. What did I invent? This inventor was mechanically inclined. He invented the traffic signal and gas mask. Who is It? Can you come up with a cool, funny or clever Black History Month Riddles of your own? Post it below (without the answer) to see if you can stump our users.